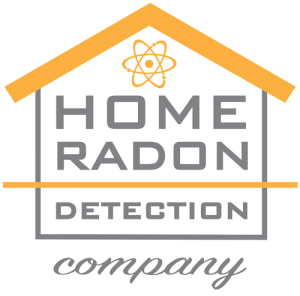 Radon Classroom | Home Radon Detection Company Inc.
Radon is a tasteless, odorless radioactive gas that can build up inside of any building. Radon most often gets into buildings through openings in a foundation. A crack in the foundation and open drains often allow the radon entry to the home or business. Also, radon can seep in directly through certain types of porous concrete without any other type of opening. Because radon cannot be detected using smell, sight or taste, seeping radon is particularly dangerous because its not obvious to building owners that there could even be a problem. This insidious gas is the second leading cause of cancer in the United States behind smoking, and smokers are at particular risk. The only way to protect your home and business from the dangers posed by this gas is to have professional testing and, if necessary, mitigation performed. Radon is produced during the natural decay of radioactive radium found in the abundant uranium and thorium deposits in the soil beneath much of the continental US. As these other elements break down, they form radon gas that is radioactive and dangerous to the health of living organisms. Once the radon is created, it behaves just like other gasses and escapes the solid material where it was created through any means possible. This can lead the gas to finding cracks in home foundations, open holes and drains, and even seeping through porous concrete materials. All buildings can potentially harbor radon, but the risk is higher in areas with rich uranium and thorium deposits. The Kansas City area sits on such a high risk area, and it is therefore extremely important to check for radon gas in the home or business, especially on the level that makes direct contact with the soil like a basement. While everyone has some exposure to radon, it is only particularly dangerous when found in high concentrations like confined indoor areas. Q: Why is Radon dangerous? Radon is the second leading cause of lung cancer in the United States. It is a seriously dangerous element because of its radioactive properties. Even more dangerous though is the fact that high levels of exposure can occur without anybody’s knowledge. Because of the tasteless, odorless and colorless nature of the element, anyone occupying the building could be highly exposed to the radioactive gas. Mitigation removes the gas from the environment, and can result in concentrations of the gas that are even lower than what’s generally considered safe. Despite the relatively short 4 day half-life of Radon, if a building that has a radon problem is improperly mitigated or not mitigated at all, more radon will continue to enter. Because radon is a heavy element, it tends to collect in basements and crawl spaces. People who regularly use these spaces are at a greater risk for exposure than others. Radon is also exceptionally dangerous to smokers, given that the additional radiation exposure means an even higher radiation dose. Q: How do you eliminate Radon? Getting rid of and keeping radon out is possible using modern mitigation techniques. While total exposure cannot be eliminated, the levels in the indoor air can be significantly reduced – even if the levels were within acceptable limits. The EPA recommends hiring a professional radon mitigation specialist to lower radon levels. This is recommended because of the serious dangers posed by radon and the possible complexities required to sufficiently reduce the level of radon. Mitigation attempts by those who are not properly trained can lead to heavy radon exposure and possibly an increase in the radon level in the home. There are a number of techniques used to reduce the levels of radon in a home. Often these involve adding some kind of suction or escape route for the gas beneath the foundation. Offering the gas an easy way to escape from the soil usually results in most of it being expelled from an exhaust located outside of the home. Q: Where can I get more information about Radon? There is a lot of information available online about radon, its dangers and how to protect your home or business. Each state offers information about radon dangers, testing and mitigation in specific areas – some even offer subsidized or free basic tests. Follow these links to learn more.